You are here: Home / Natural Fine Planetary Talismans / The gem also known as the Evening Emerald! Natural Peridot the superior alternative gemstone to Natural Emerald – The gem of the planet of business and communication – Mercury! The gem also known as the Evening Emerald! Natural Peridot the superior alternative gemstone to Natural Emerald – The gem of the planet of business and communication – Mercury! Comments Superior Emerald Alternative full of quicksilver Mercury energies! This fully natural olivine colored flawless, near eye- clean, with a brilliant lustre hails from Pakistan! 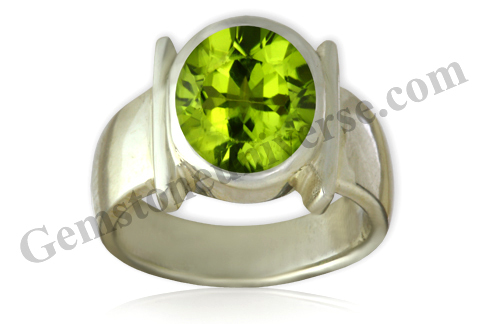 This superior Jyotish Quality Peridot set in a sterling silver ring is making a Sattvik and potent Mercury Talisman! Natural Peridot for use as a substitute gemstone in lieu of an Emerald.